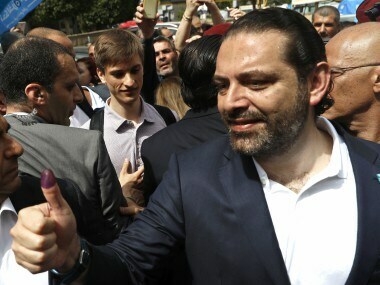 Beirut: Lebanese voted in their first General Election for nine years on Sunday, with the Tehran-backed Hezbollah group and its allies expecting to emerge stronger, a result that would affirm Iran’s regional ascendancy from its own borders to the Mediterranean. Sunni prime minister Saad al-Hariri is frontrunner to keep his job and form a new coalition government after an election seen as vital to Lebanon’s economic stability, but his Future Movement was widely expected to lose seats. 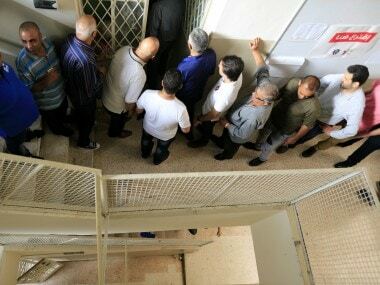 For many younger Lebanese, Sunday brought a first chance to vote in a national election after parliament twice extended a term that expired in 2013, but Interior Ministry figures from early in the day suggested turnout would be low. President Michel Aoun appeared on television late in the afternoon to urge people to vote. Voting ended at 7 pm to all except those already waiting in polling stations. Although the election used a new proportional system, many voters said they expected the country’s entrenched, sectarian elite to remain on top but others were optimistic. “We hope we will open a new era,” said Mahmoud Daouk, voting in Beirut in one of the areas where new faces were taking on the old sectarian elite. Party flags flew from cars and mopeds, loudspeakers blared campaign songs and young people wore T-shirts bearing the faces of political leaders. The vote was held under a new proportional system that has confused some voters and made the contest more unpredictable. But it still preserves a sectarian power-sharing system and another coalition government including most of the major parties, like the one Hariri has led since 2016, looks likely, analysts say. 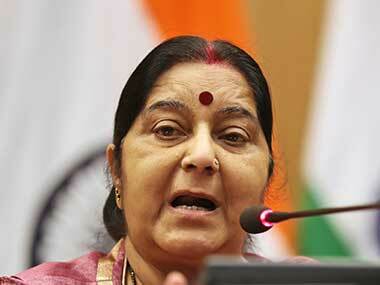 While foreign monitors gave a generally positive assessment, tensions flared in several locations. 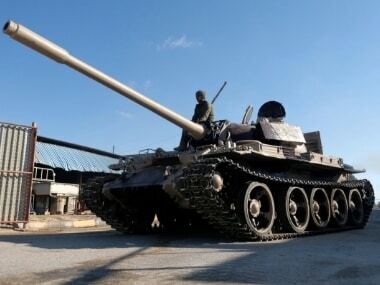 Missiles were thrown during street clashes in Beirut, a candidate claimed her car was attacked in the Bekaa Valley town of Zahle, and rival groups clashed in the northern city of Tripoli. Investors are keen to see a government in place quickly as a guarantee of economic stability. Lebanon has one of the world’s highest debt-to-GDP ratios and the International Monetary Fund has said its fiscal trajectory is unsustainable. “The situation is actually worse now, not better... we lost the chance to hold them accountable nine years ago,” said Fatima Kibbi, 33, a pharmacist. Informal results are expected to start coming in overnight and official tallies in the coming days. Analysts are closely watching the performance of Hariri’s Future Movement party and that of the Shi’ite Hezbollah group and its allies. Iran and Saudi Arabia have often battled for influence in Lebanon as part of their wider regional rivalry. An anti-Hezbollah alliance led by Hariri and backed by Saudi Arabia won the majority in 2009. But the anti-Hezbollah alliance known as March 14 has disintegrated since then and Riyadh has turned its focus and resources to confronting Iran in other parts of the region. Though Hezbollah’s opponents still want it to disarm, the demand has slipped down the political agenda. Lebanese leaders are mostly concerned with a dire economic situation and the strain of hosting 1 million Syrian refugees. Donors pledged $11 billion in soft loans for a capital investment programme last month, in return for fiscal and other reforms, and they hope to hold the first follow-up meeting with the new government in the coming weeks. Debt ratings agencies had stressed the importance of Lebanon going ahead with the election after parliament had extended its term several times. After the last election in 2009, the onset of Syria’s civil war, the arrival of over a million refugees and a series of militant attacks aggravated internal political rifts. Rival blocs in parliament could not agree on a new president between 2014-16 and repeatedly decided to delay elections, partly because of disagreement over moving from a winner-takes-all system to a proportional one. The new rules are seen as unlikely to undermine the long-entrenched political elite, a group that includes local dynasties and former warlords. Mustapha Muzawwaq, 65, was sitting with neighbours in a side street drinking coffee. “We want the situation to stay as it is ... At least we know the current MPs,” he said. In municipal elections two years ago, independent candidates did well against established parties by drawing on public anger at poor government services, including a garbage crisis. Jonathan Dagher, 27, a campaigner for an independent candidate in the Chouf-Aley district of Mount Lebanon, said he was optimistic. Parliament seats are divided evenly between Muslims and Christians, and further subdivided among their various sects. Lebanon’s president must always be a Maronite Christian, the prime minister Sunni Muslim and the parliament speaker Shi’ite. Voters are registered not where they live but in the district their ancestors came from, meaning that many Beirut residents have to travel to villages across Lebanon to vote. Some acts of violence and intimidation connected to the election were reported in recent weeks. A candidate in Zahle accused her rivals of intimidation. They accused her party of bribery. Security around polling stations was heavy from early in the day and a Reuters reporter saw a column of armoured vehicles and other troop carriers driving slowly into the capital.